The slate of current animated series on TV and streaming services is nothing short of spectacular. And here are those shows, ranked from best to worst by user votes. The best current animated series, as a group, is made up of long running animated classics, and new sensations with cult followings. The top current animated series aren't only comedies, these toons are surprisingly action driven as well. Some of these great current animated series even have their own movies! Which great cartoons will you find on this top current animated series list? BoJack Horseman is one of the funniest animated series airing today. This Netflix Original stars Will Arnett in the title role and Aaron Paul as Todd Chavez. Rick and Morty is another great animated series that is currently airing new episodes. Several of the best current animated series have been on TV for decades. For instance, The Simpsons first premiered all the way back in 1989. Other top cartoons that appear on this good current animated series list include Family Guy, cult favorite Adventure Time, and Rick & Morty. Do you have a favorite animated series that is currently airing new episodes in 2019? Vote the best shows up to No. 1 on this list and share your opinion in the comments section. Hilda is an animated television series based on the graphic novel series of the same name by Luke Pearson. 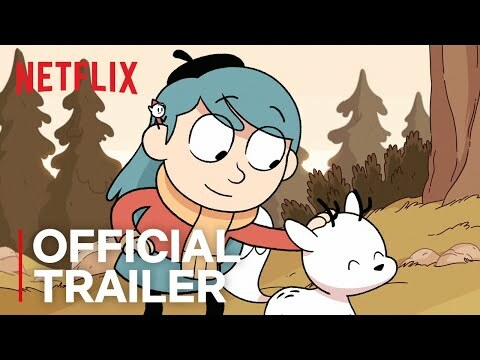 Produced by Silvergate Media and Mercury Filmworks, the show follows the adventures of fearless Hilda, a blue-haired girl who, along her deerfox Twig, travels to the city of Trolberg, where she conquers even the most dangerous monsters. JanK1 added Final Space Fred Armison, AvoCato, a bunch of famous comedians & voice actors and some that will soon be famous. 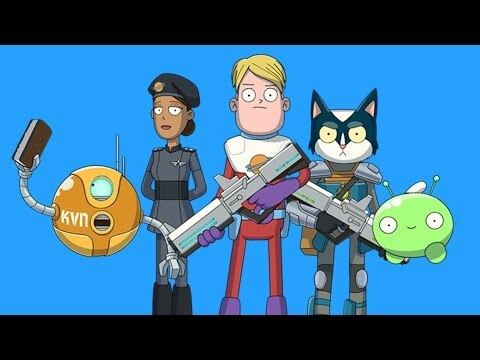 perhaps the best new show of 2018. show follows the adventures of Gary, AvoCato, Quin, and MoonCake. This show is seriously the most addictive show ever. It takes place in Paris, with two teenagers, Marinette Dupain-Cheng (Cristina Vee) and Adrien Agreste (Bryce Papenbrook) who are secretly Paris's superheroes known as Ladybug (Marinette) and Cat Noir (Adrien). Marinette is a bakers daughter, who is an awkward, bubbly girl who has a crush on Adrien. Adrien is a model who lives with his uncaring father, is a kind, genuine person. Adrien as Cat Noir has a crush on Ladybug and and flirts with her, which Ladybug doesn't react to. She usually brushes of his flirting, a stance she would not take if she knew he was Adrien. Thus creating the love square. And if you are a sucker for romance, you should watch this show. It's awesome.